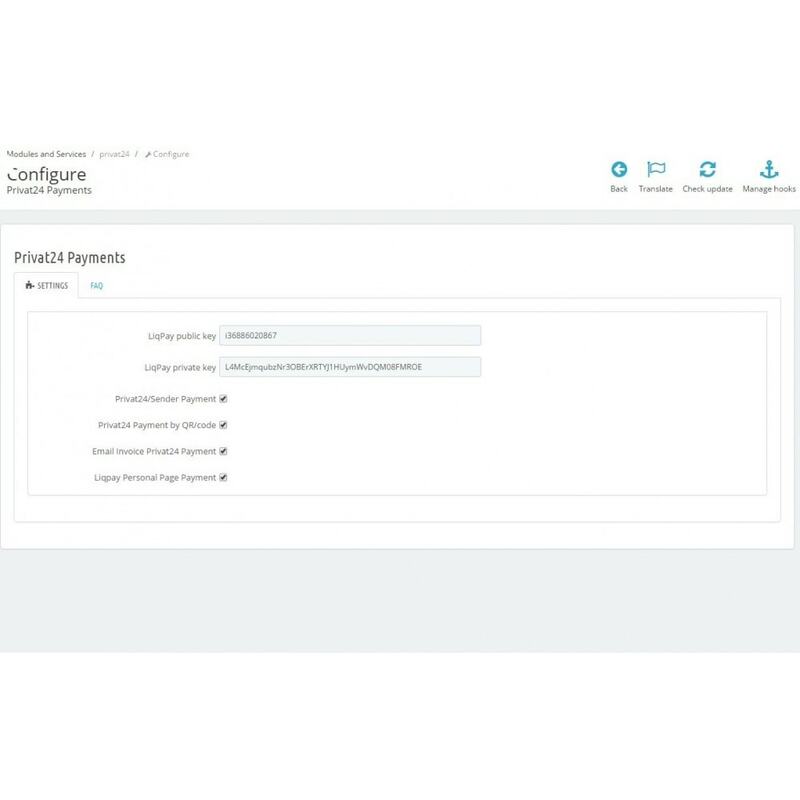 Privat24 payments module is a Privatbank processing connector. Available payments: Debit/Credit card, Privat24, Privat24/Sender, Privat24 by QR code, Cash in PrivatBank terminals, MasterPass, invoice to email. 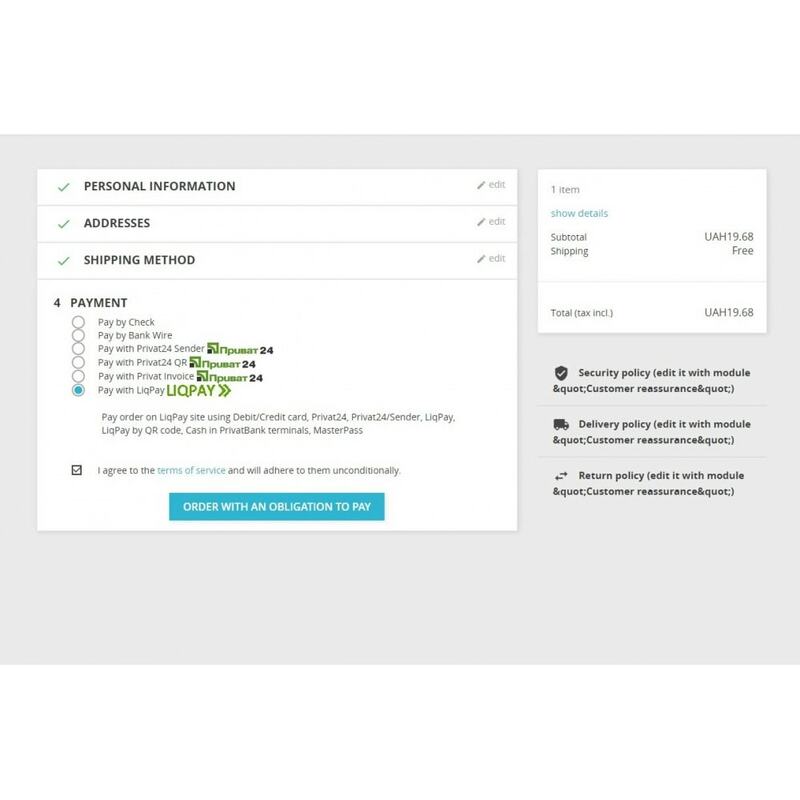 More payment options mean more sales. PrivatBank is the Biggest Bank in Ukraine and now you can receive payments from it clients via Privat24 and any other Debit-Credit card holders. 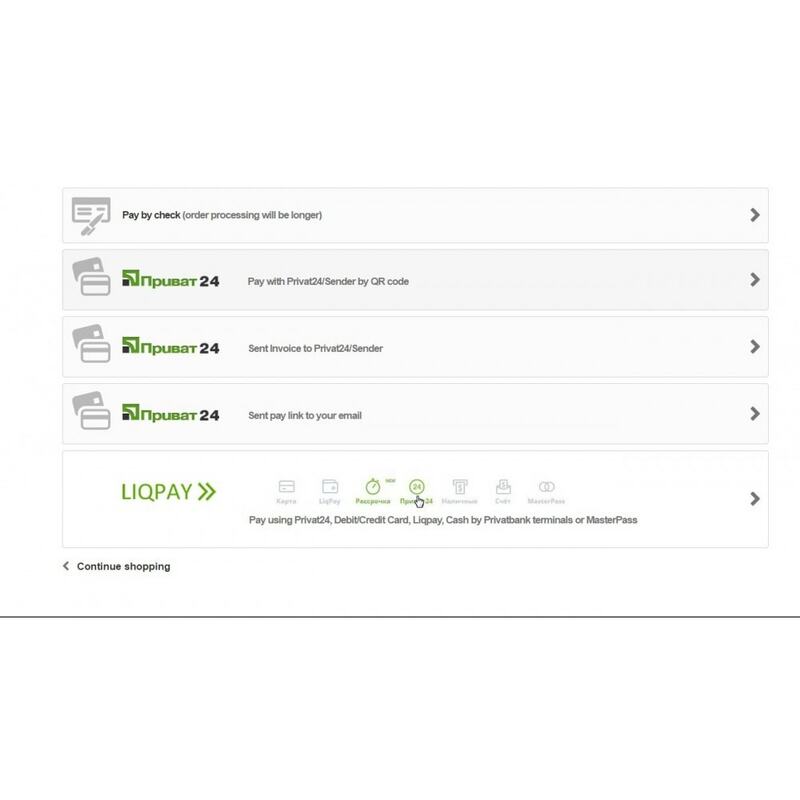 Customers can have the best payment options in Ukraine.